We know that pesticides are harming the animals – from creatures who live in the oceans, to larger animals living on farms, in jungles, on prairies, and even flying above our heads. But even more worrisome, they seem to be a threat to endangered species roaming the earth. 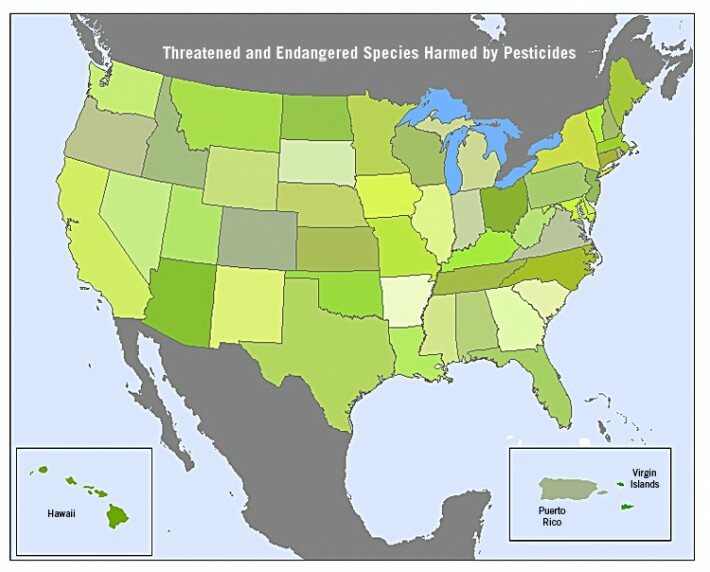 The U.S. Environmental Protection Agency (EPA) has just released an analysis pinpointing the collective impact that just 3 pesticides have on a surprising 97% of all the animals on endangered and threatened species lists nationwide. These 3 common pesticides—chlorpyrifos, diazinon, and malathion—are causing unwanted damage to the natural world. Chlorpyrifos is manufactured primarily by Dow Agro Sciences LLC, Cheminova, Makhteshim-Agan, Garda, and Platte Chemical. 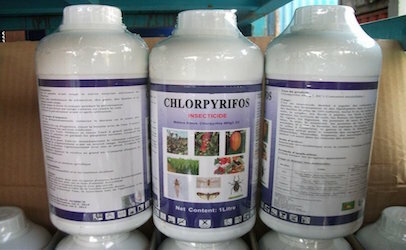 It is an organophosphate pesticide that is harmful to animals and the environment. It is said to be a severe risk to 97% of America’s most threatened flora and fauna. It works by blocking an enzyme which controls messages that travel between nerve cells. When the enzyme is blocked, the nervous system can’t send normal signals. The problem is that this is also how it can harm innocent animals, including those on the endangered species list. Diazinon pesticide has been found it in at least 25 of the 1699 ‘National Priorities List’ cleanup sites that have been over-dosed with the chemical. Usually when this substance is in the environment at even moderate levels, humans are evacuated. You can imagine how animals might fare when exposed to this pesticide. It also lingers in soil, air, and water for decades. 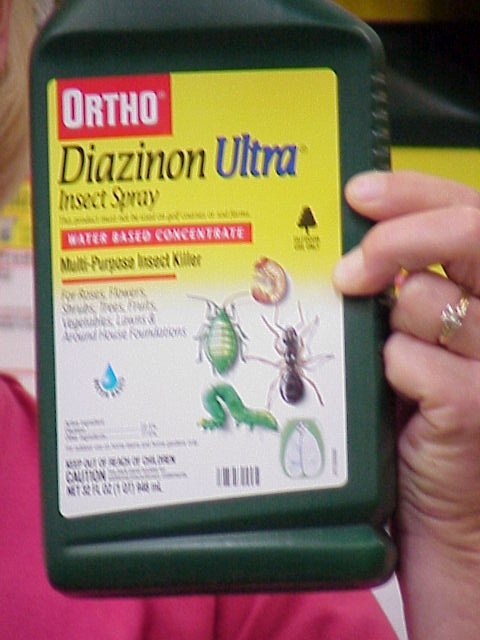 An organophosphorus insecticide, Diazinon is used to control pest insects in soil, on ornamental plants, and on fruit and vegetable field crops. It’s sold under common trade names including Alfatox, Basudin, AG 500, Dazzel, Gardentox, and Knoxout. The EPA banned this insecticide in 2005, but it is still hurting endangered animals. Diazinon threatens 79% of endangered species. 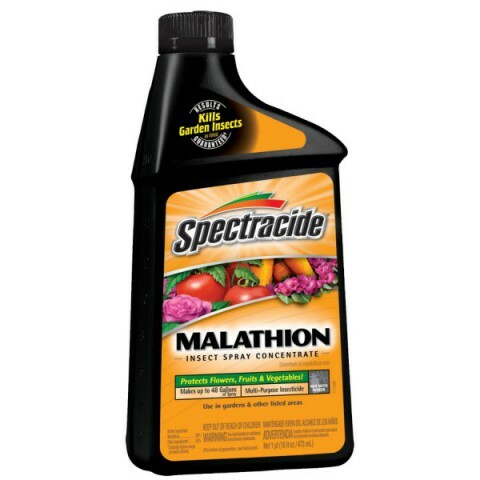 Also an organophosphate, Malathion targets insects by causing their nervous system to break down. It directly affects how the liver and kidneys work in both animals and humans. The report reveals that malathion and chlorpyrifos harms an astounding 97% of the 1,782 animals and plants protected under the Endangered Species Act. Diazinon harms 79%. The report does not mention glyphosate (the main ingredient in Monsanto’s best-selling herbicide Roundup). The EPA has allowed more than 16,000 chemicals to be registered for use without proper scientific research to determine their effects on the world around us, and our own health. The fact that the EPA has released this analysis is a step in the right direction. Indeed, 800 million pounds of pesticides are going to cause some hefty damage. Many pesticides are said to evaporate in days, but some linger in the soil, air, and water for years, or even decades, and we still don’t know the synergistic effect of all these chemicals when used together. What is known for sure is that the more pesticides are used, the more difficult it is for the environment to ‘detox.’ The same goes for the animals and us. Hopefully, armed with this new information provided by the EPA, we can do something before it is too late. The similarity of ME/CFS and so called Sheep Dip Flu should be noted, Sheep dip being a sufactant type Organo-phos.. The British Parliament had an enquiry into Organo-phosphates, which reported they could find no evidence of harm. Having spoken to no Farmers who had reported ill symptoms. Paul Tyler the Liberal MP, now a Lord, commented it was the biggest political scandal he had encountered. Try it some time if you know what you are doing. I know that’s how I got rid of my flea problem without any poison clinging to me or breathing it. Lol, can poor little Chrissy no longer count? Her headline says two chemicals but her article lists three. If she can’t get something that simple straight how can we believe the rest? Very bad reporting — again! Actually there are thousands of known pollutants, maybe she should list everything? Bottom line, your supporting the destruction of the ecosystem through your diversionary tactics freelance. Poor spud tries to twist everything. It is very simple she said two in her title but lists three, so she either lied or can’t count. Nothing else really matters. Freelance, your endangering the true farmers with your lies and disinformation. At least I can count, more than you can say for Chrissy.